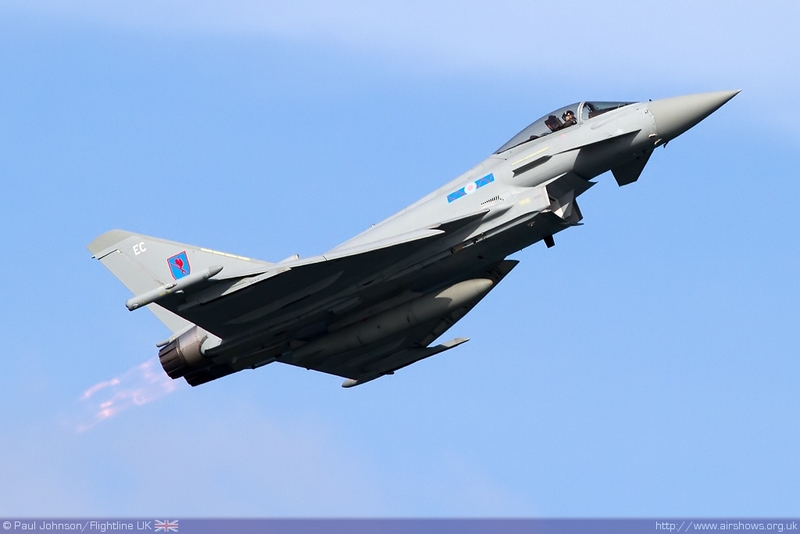 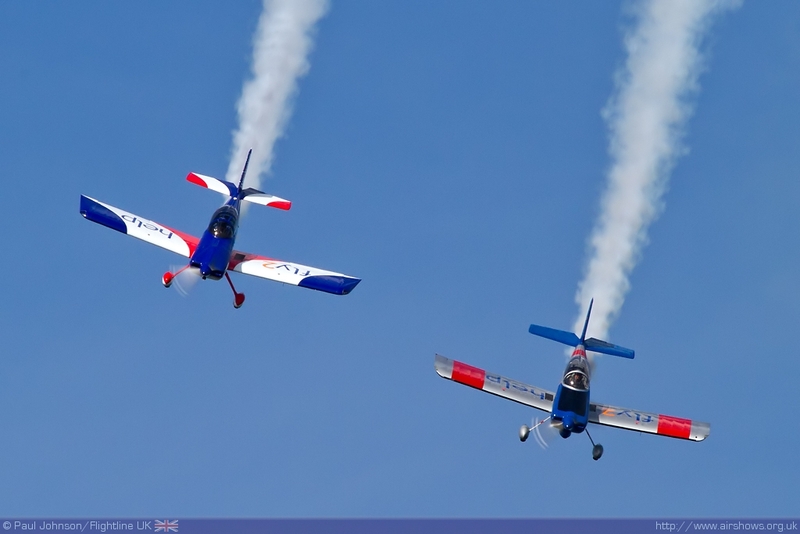 The start of the school summer holidays also heralds the start of a busy month of big seaside airshows from the end of the July through to the beginning of September. 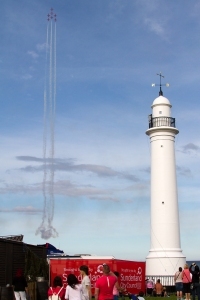 Kick starting the holidays in the North East was the Sunderland International Airshow which is one of the very biggest attracting over 1,000,000 spectators at Roker and Seaburn Seafront for the weekend festivities. 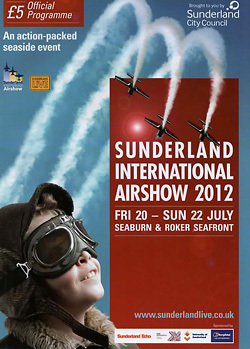 Sunderland International Airshow not only marked the start of the school summer holidays, but also the delayed start of summer. 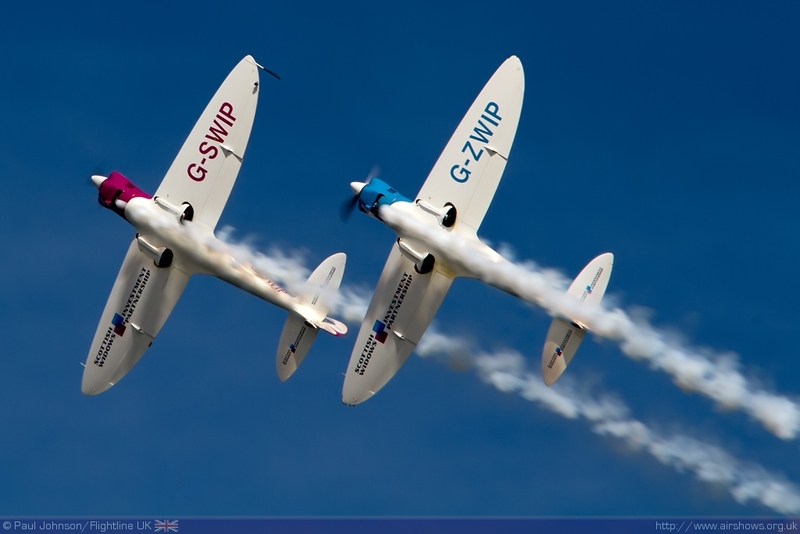 No one needs to be reminded that the UK has endured the wettest June and early July for some time, but the bad weather finally broke in time for the airshow. 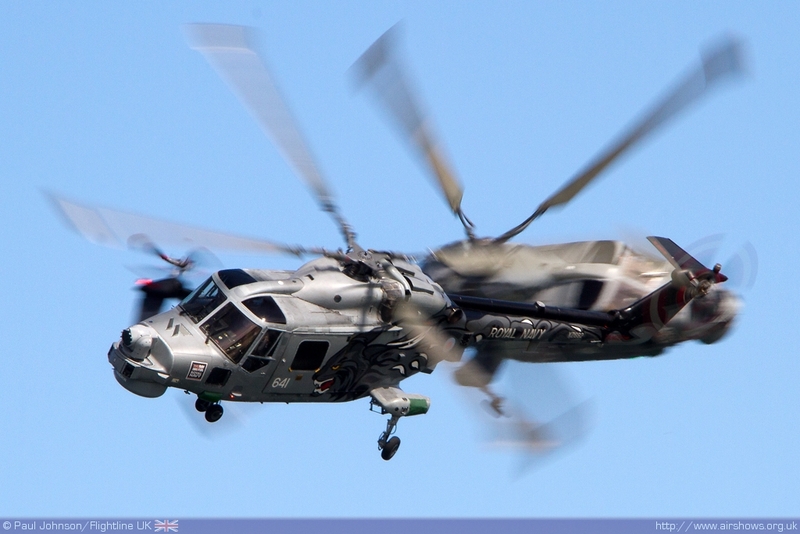 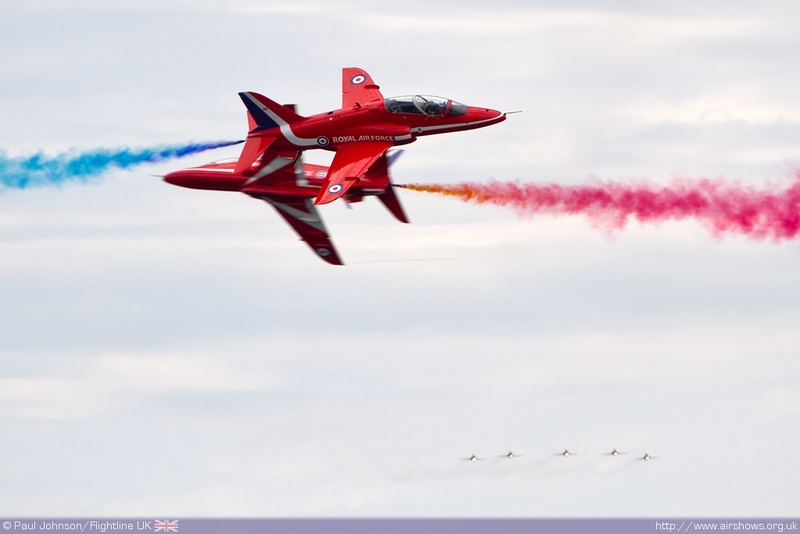 2012 saw the 24th running of the airshow which has grown in to one of the UK’s largest. 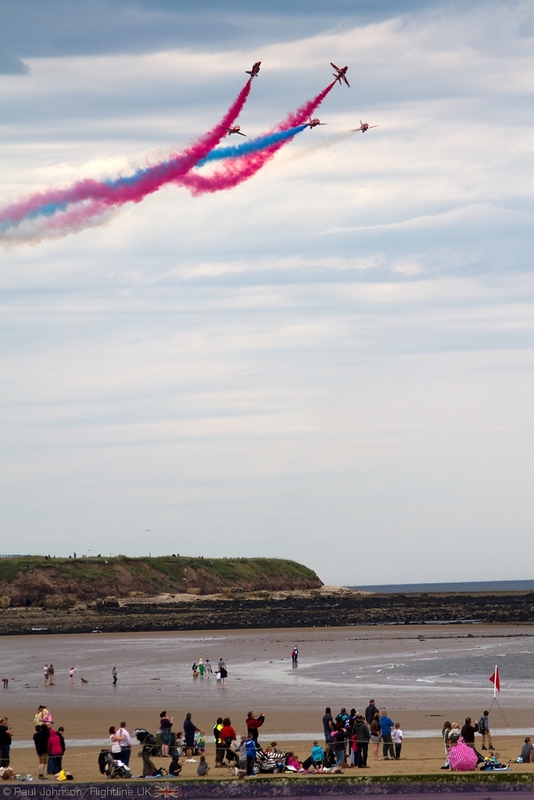 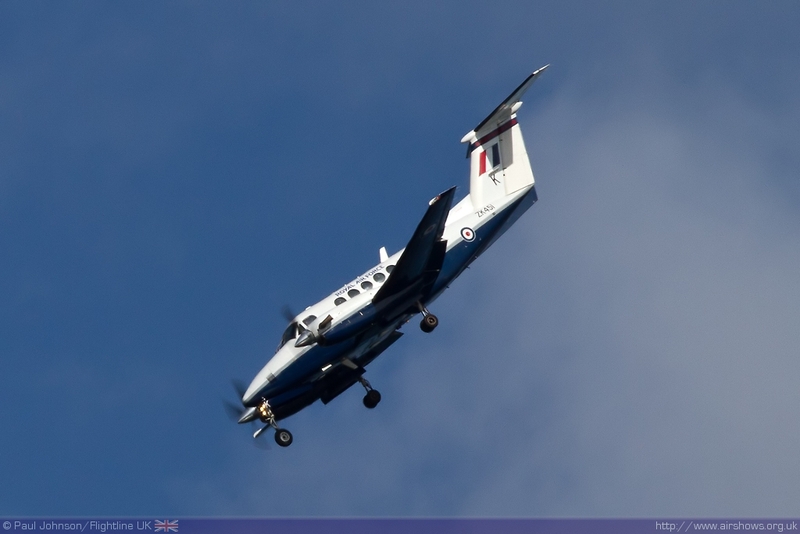 The North-East sees precious few aviation events, and the Sunderland Airshow is by the far the most important. 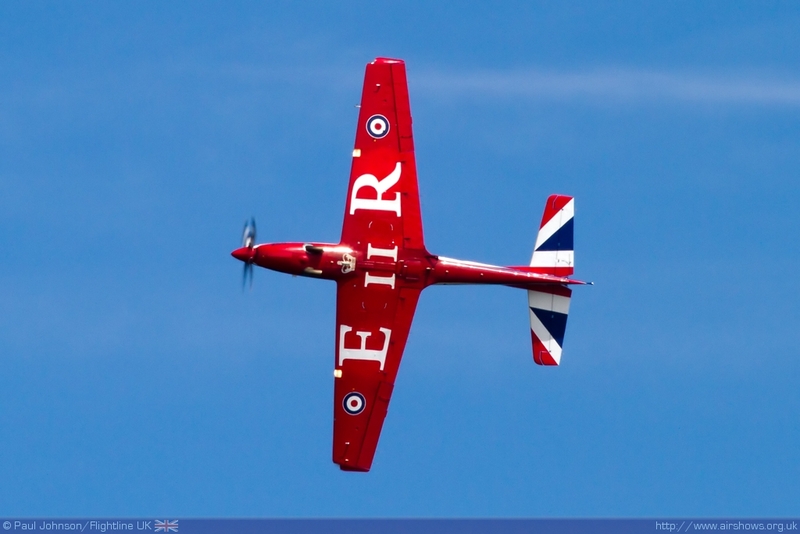 This year saw the return of the Royal Air Force after last year’s event coincided with the block leave for the services display teams and there is no doubt this further boosted attendance over the show weekend as did the fine weather. As in previous years, the show opened on Friday night with a ‘Launch Party’ complete with flying displays, live music and fireworks. 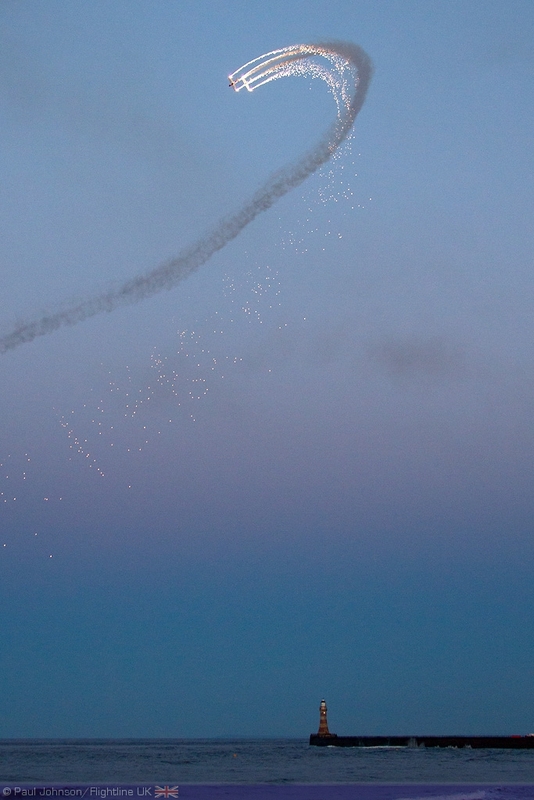 It was very much the perfect summer’s evening with clear skies and gentle breeze. 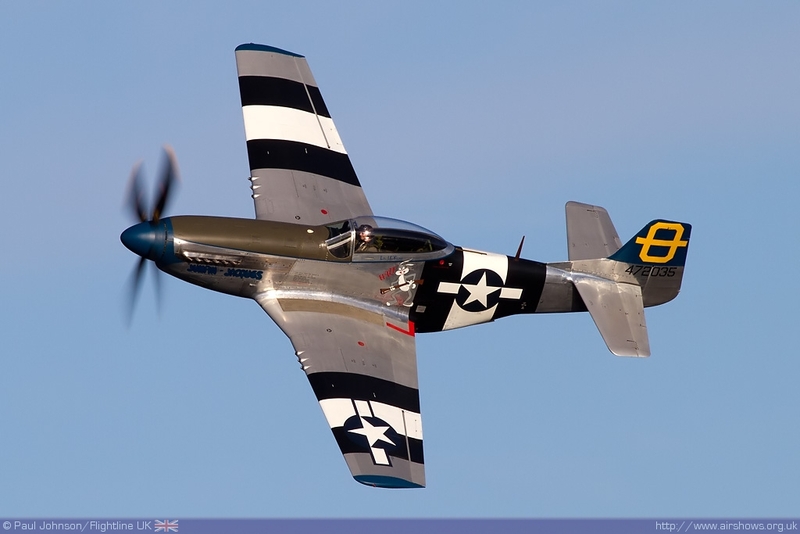 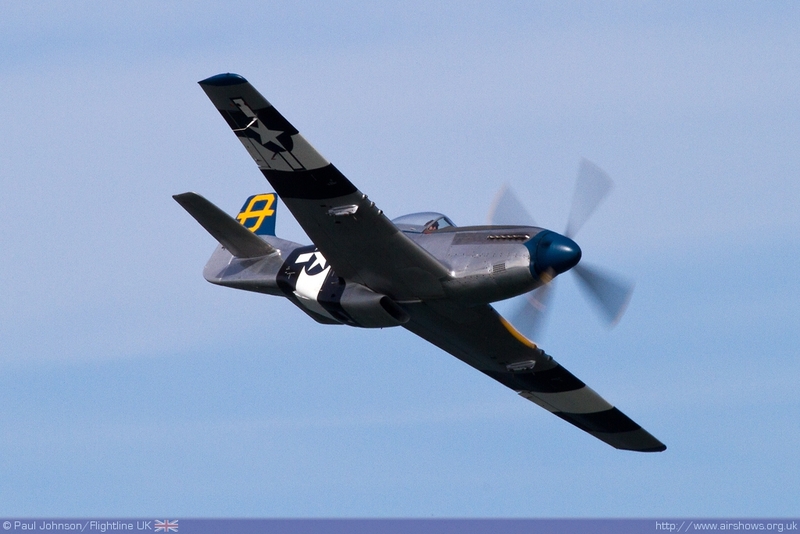 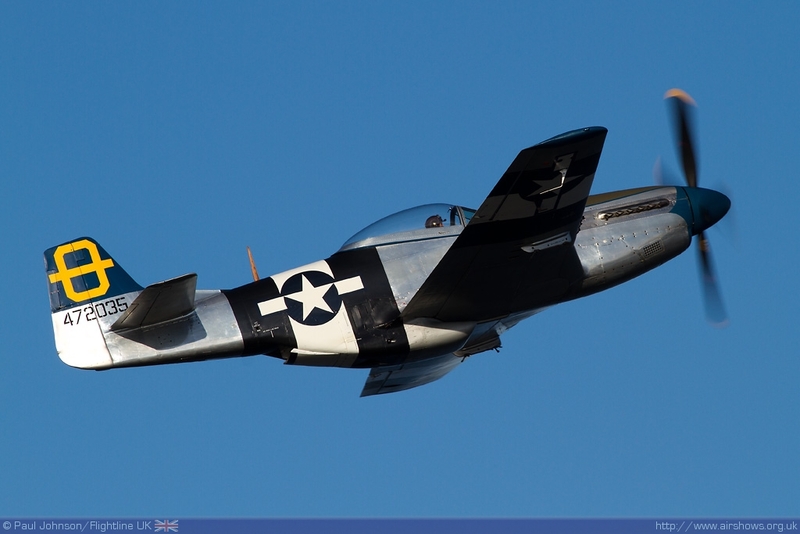 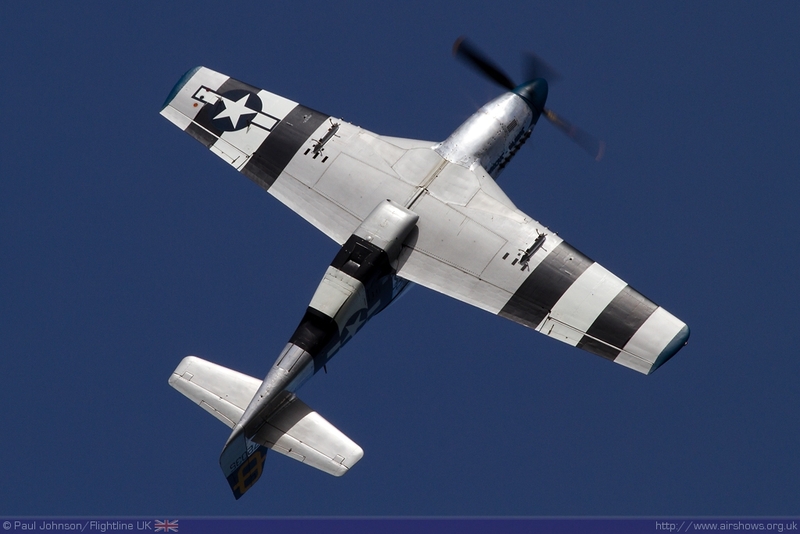 The event was opened by a military band playing some famous movie themes while Peter Teichman displayed his stunning P-51D Mustang in early sunset. 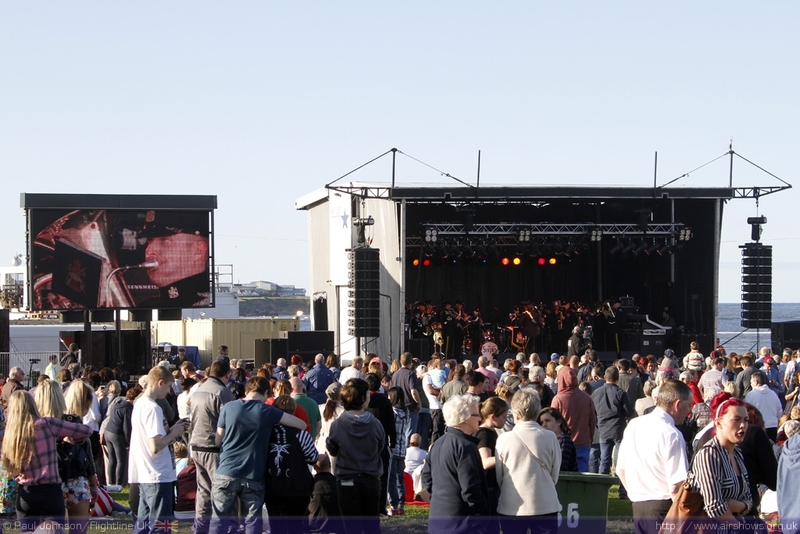 The evening continued with dance acts, X-Factor finalists The Risk before a dramatic finale as the sun sunk below the horizon. 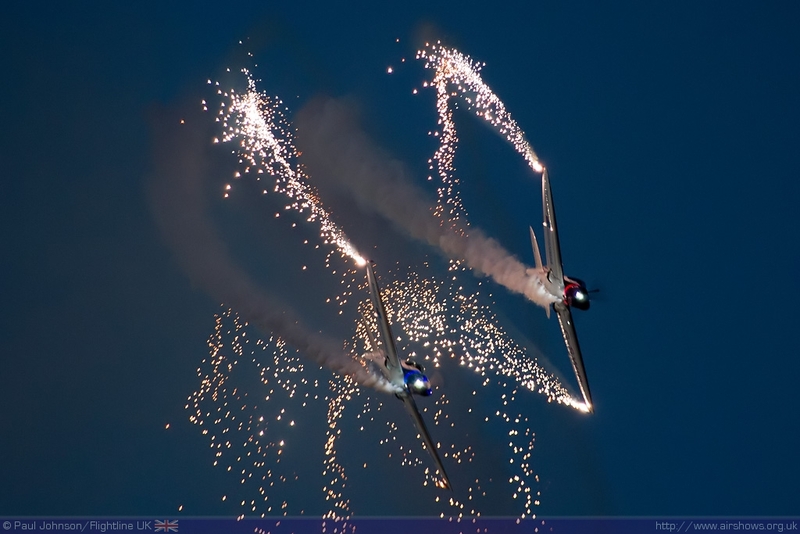 First the SWIP Team flew one of twilight displays complete with wingtip pyrotechnics and the aircraft illuminated by LEDS and spotlights before a dramatic firework displays over the harbour. 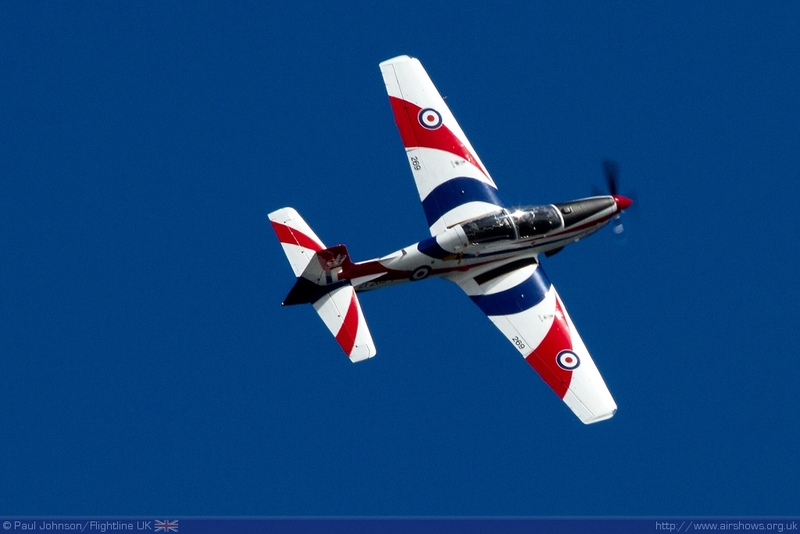 As we mentioned earlier, the weekend air displays saw the return of the Royal Air Force. 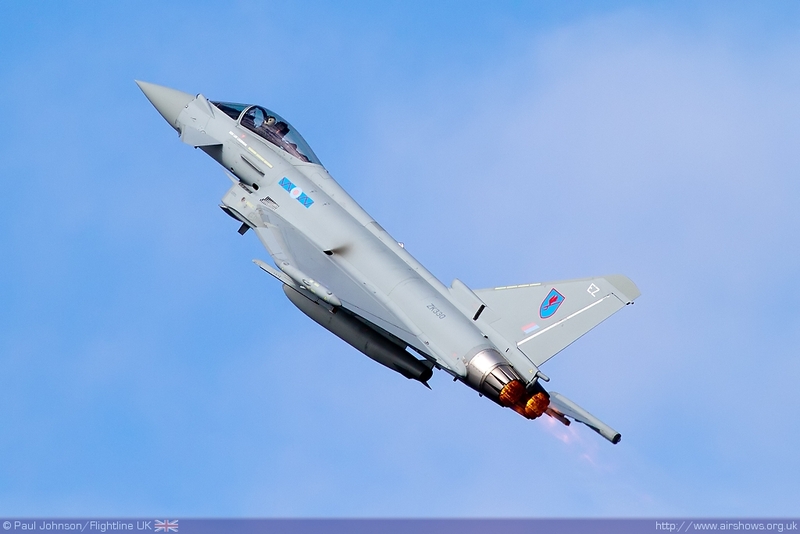 Perhaps to make up for missing last year, the RAF was at Sunderland in force with all its display items which is very rare for a civilian airshow. 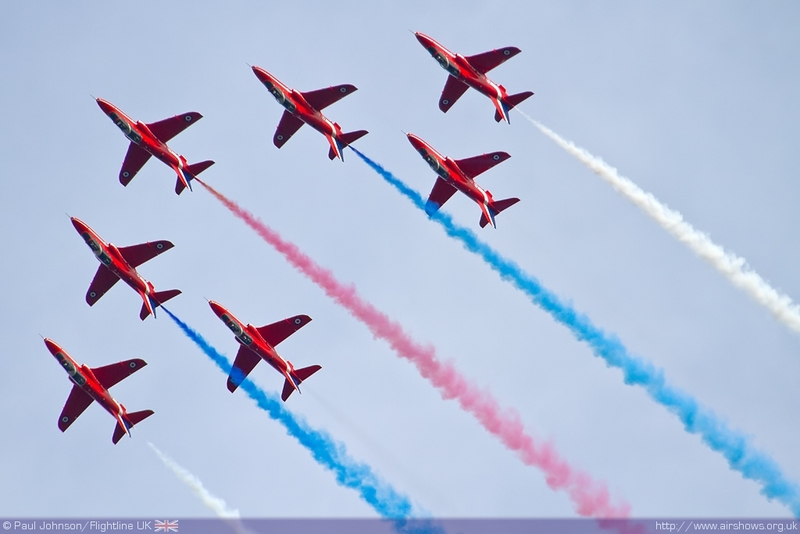 The biggest draw of course for any show is the Red Arrows and Sunderland was no different. 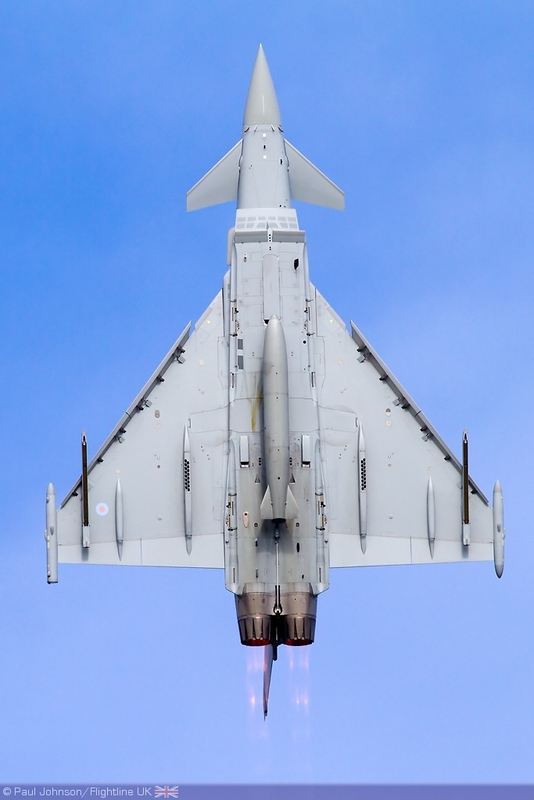 The team also managed to put on two complete ‘full’ displays over the weekend which is certainly a rare occurrence so far in 2012! 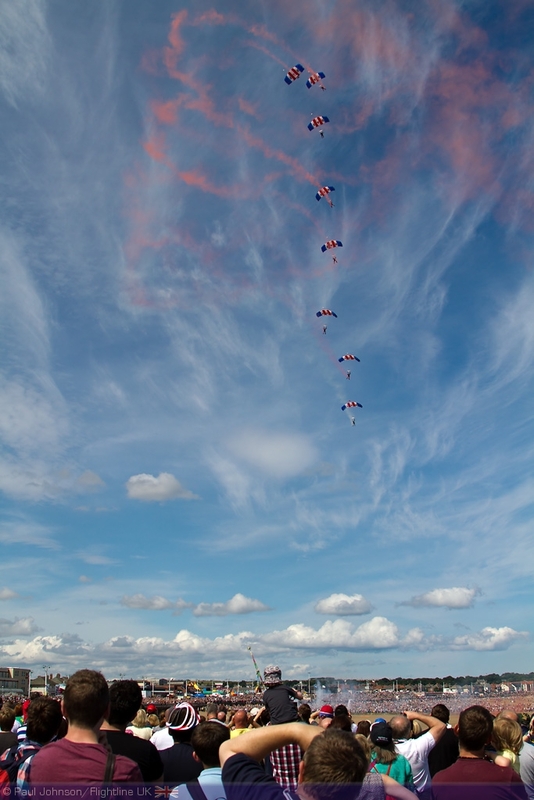 The team also made a further appearance on Sunday with all nine aircraft making a flypast over the seafront on their way south to a display in Hastings. 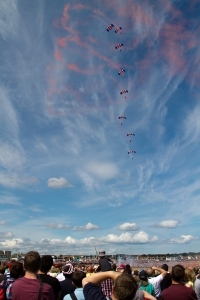 The RAF Falcons Parachute Display Team have supported Sunderland for 23 years and made their first high drop from 12,000ft of the year on the Saturday. 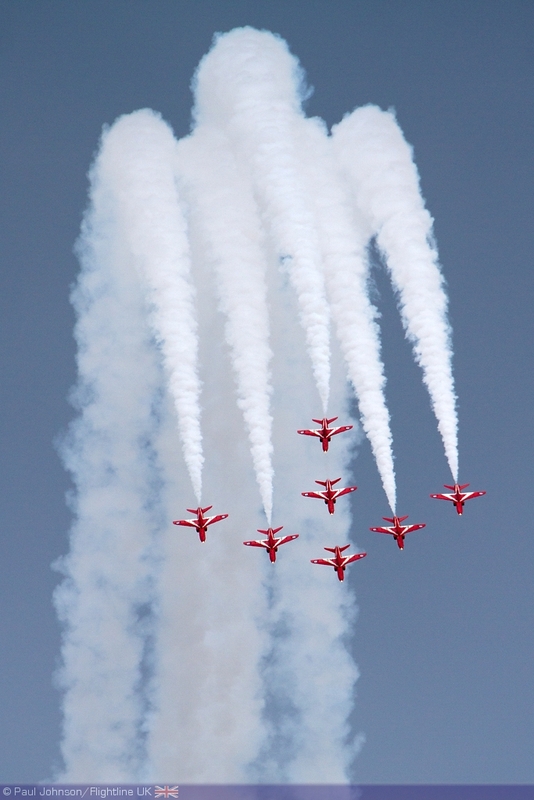 Sadly some tricky winds on Sunday prevented them displaying. 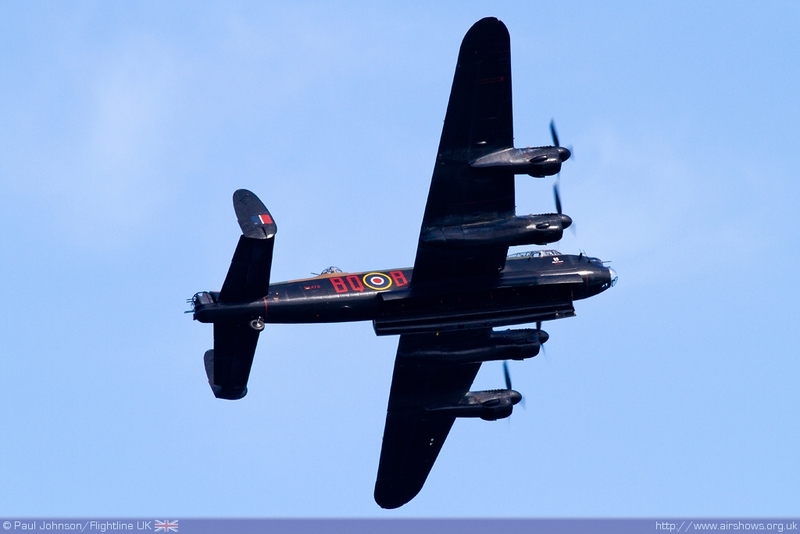 The Battle of Britain Memorial Flight also had to miss Sunday’s show because of the wind but looked awesome against Saturday’s clear blue skies. 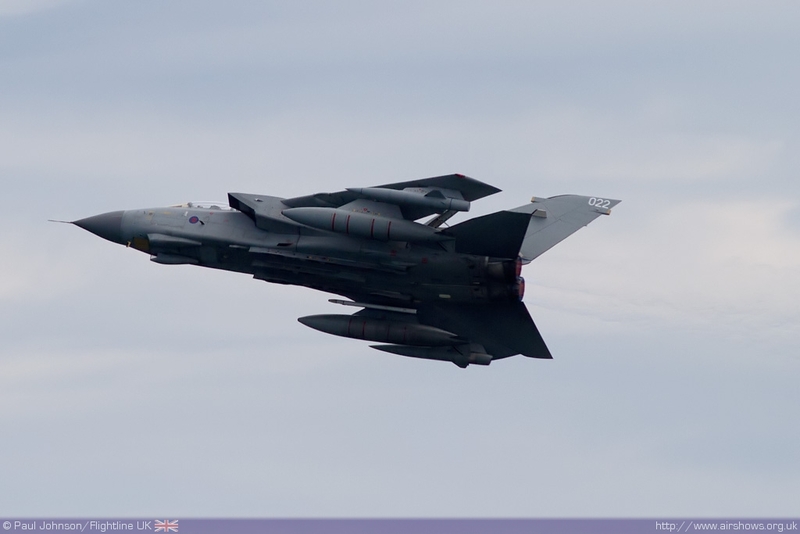 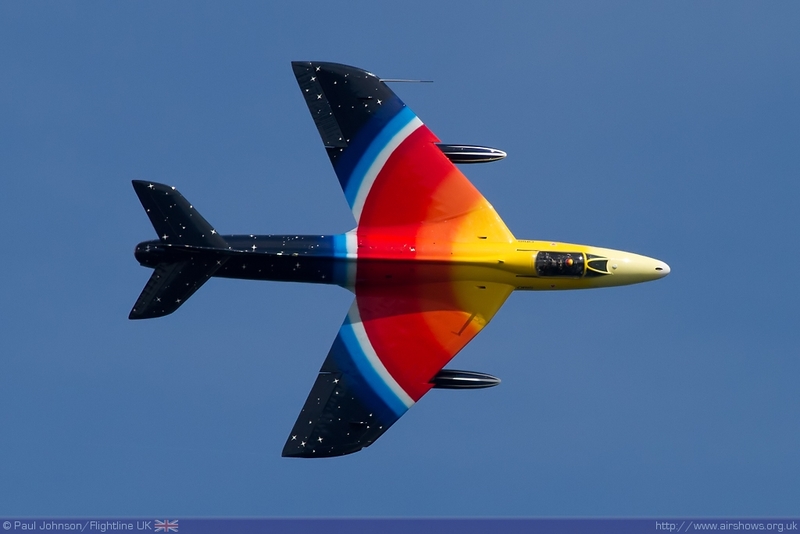 Joining the three main display teams of the RAF were all the solo and fast jet displays. 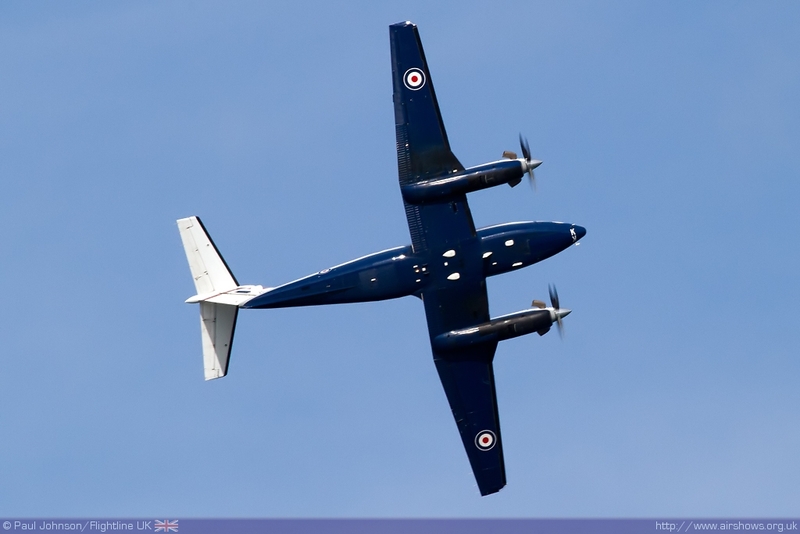 It was great to see the Tutor (which was the only RAF aircraft to participate in the 2011 show) joined by Tucano and the King Air from the training aircraft displays. 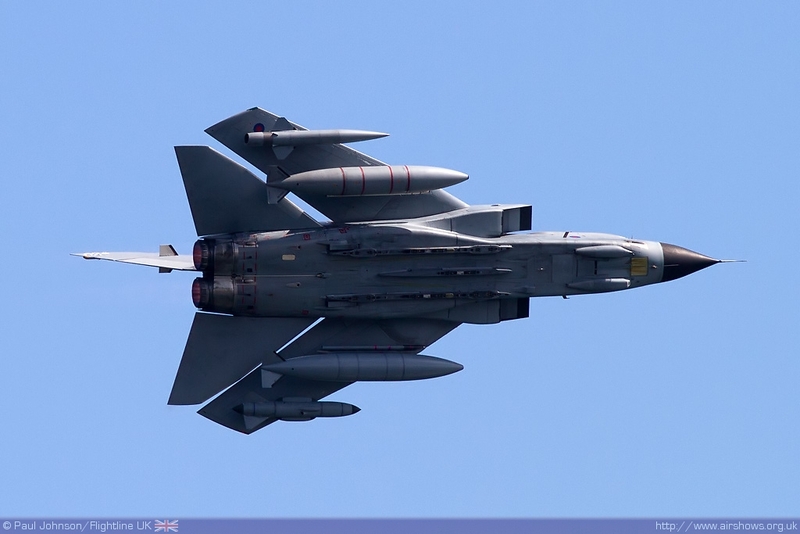 Particularly spectacular displays came from the Tornado GR4 Role Demonstration which was supported by special pyrotechnic effects on the beach right in front of the crowd at the show centre. 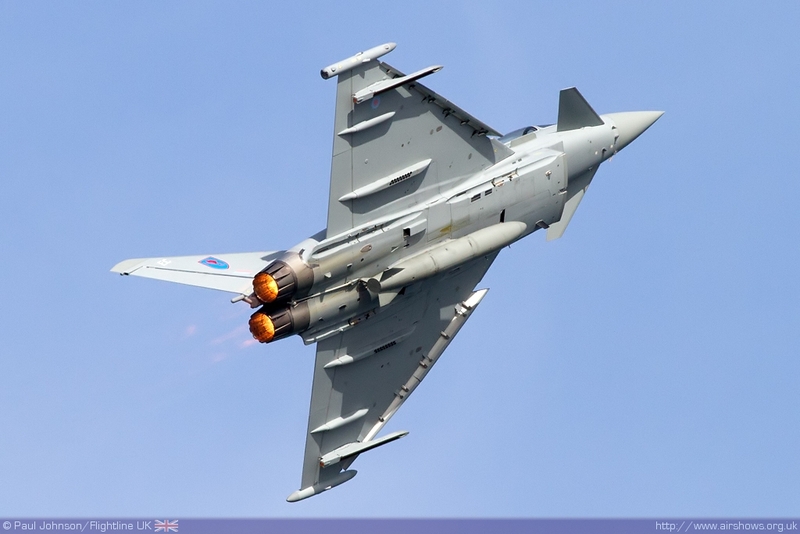 Squadron Leader Scott Loughran appeared toward the end of each day’s flying displays with a tight and loud display in the Typhoon FGR4 from 6(F) Squadron which certainly got eyes pointing skywards. 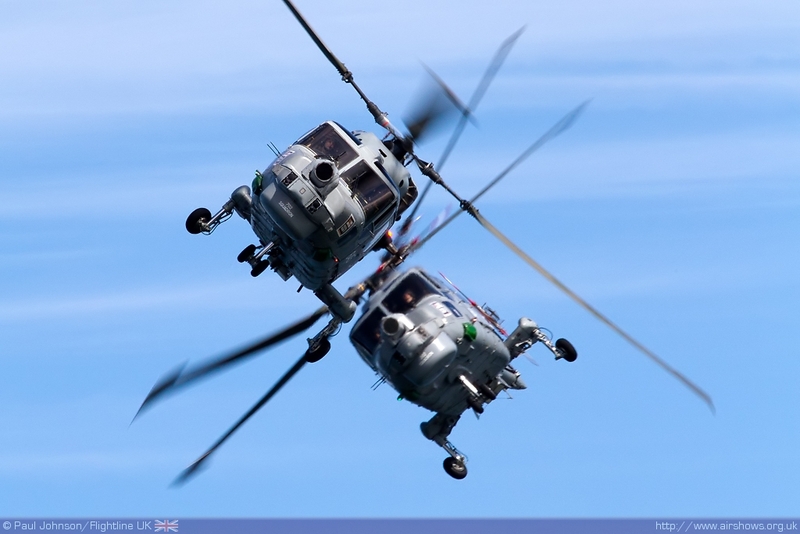 The only other service represented in the flying displays was the Royal Navy with the Black Cats Helicopter display team. 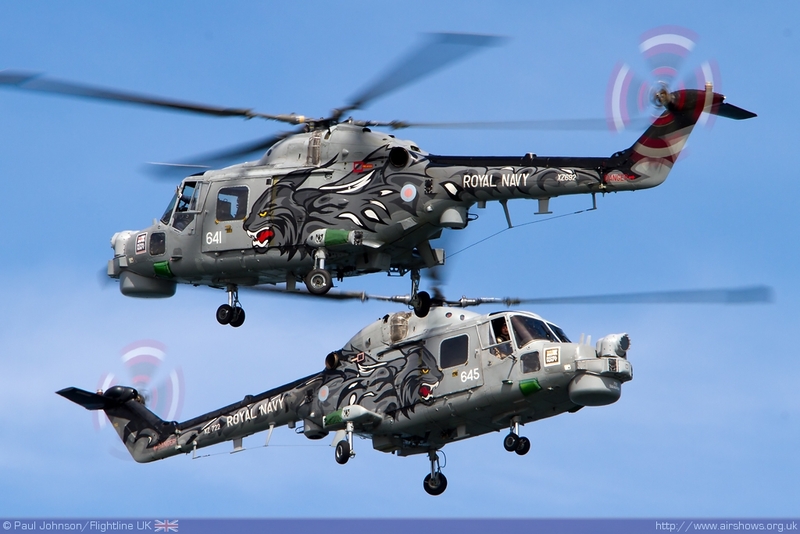 The Black Cats hold a special place at Sunderland sharing their name with the nickname for Sunderland’s football team. 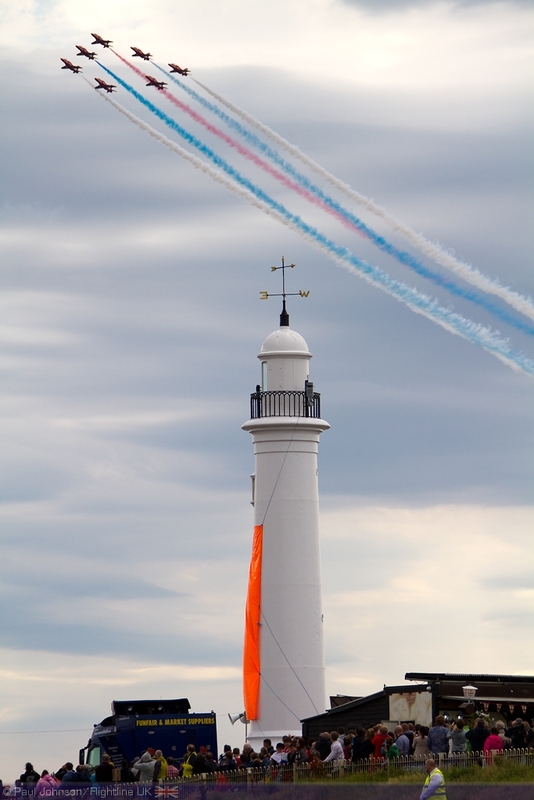 The venue certainly seems to suit the team giving those on the central headland a superb view of their display. 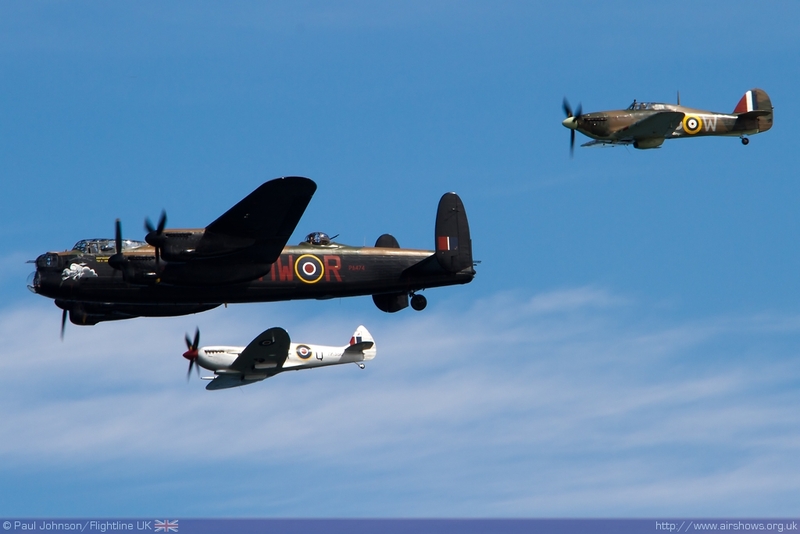 Historic aviation was also well represented. 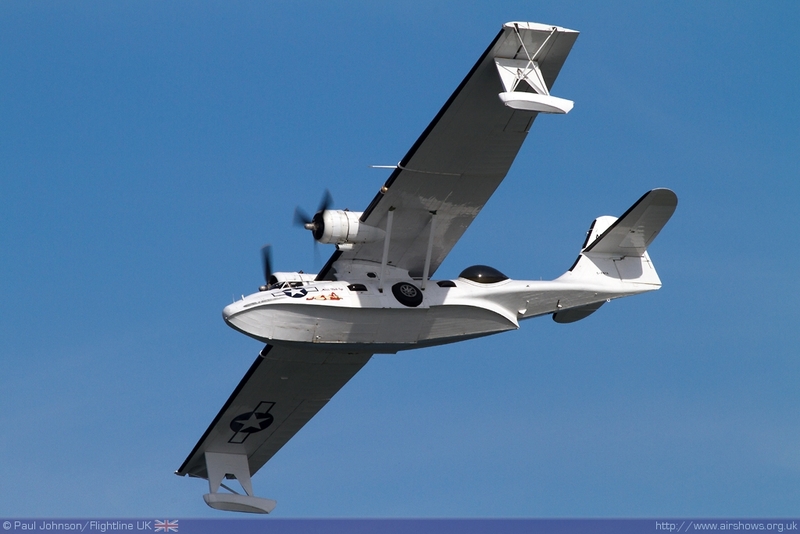 Joining Peter Teichman in his P-51D Mustang “Jumpin’ Jacques” was Plane Sailing’s Consolidated PBY-5A Catalina which looked very much at home curving around the harbour wall lighthouse to start its display. 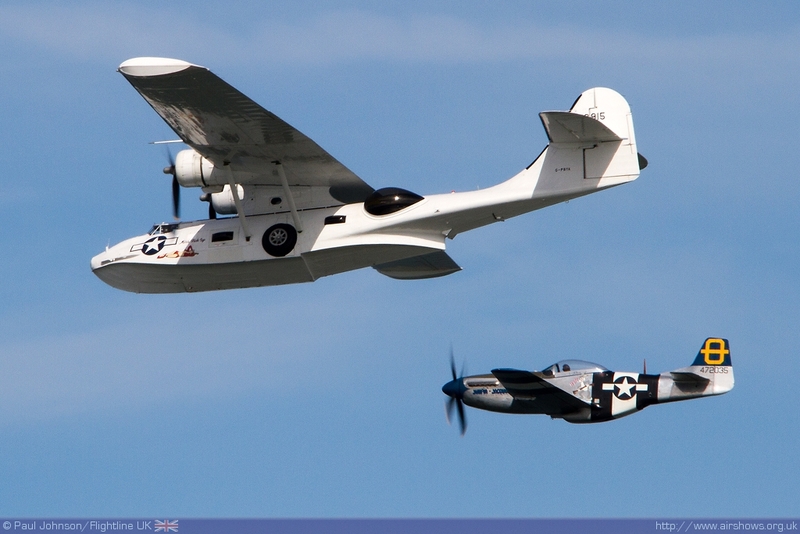 The Catalina and Mustang also performed a joint flypast on both days of the show. 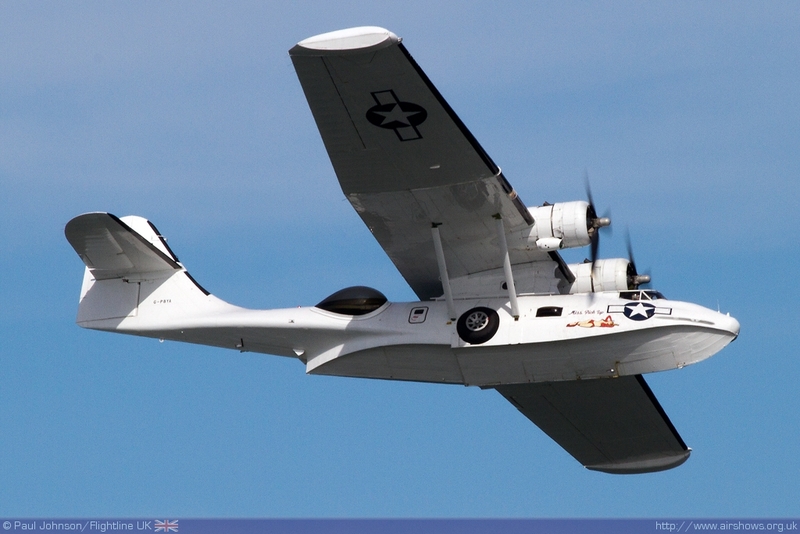 It wasn’t perfect formation as the top speed of the Catalina is very close the stalling speed of the Mustang! 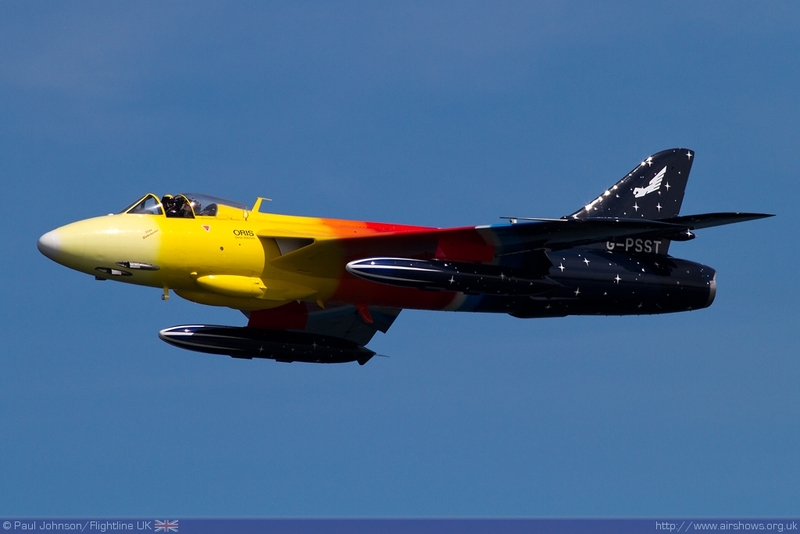 The sole representative of a classic jet was the colourful Hawker Hunter ‘Miss Demeanour’ flown in great style by Jonathon Whaley. 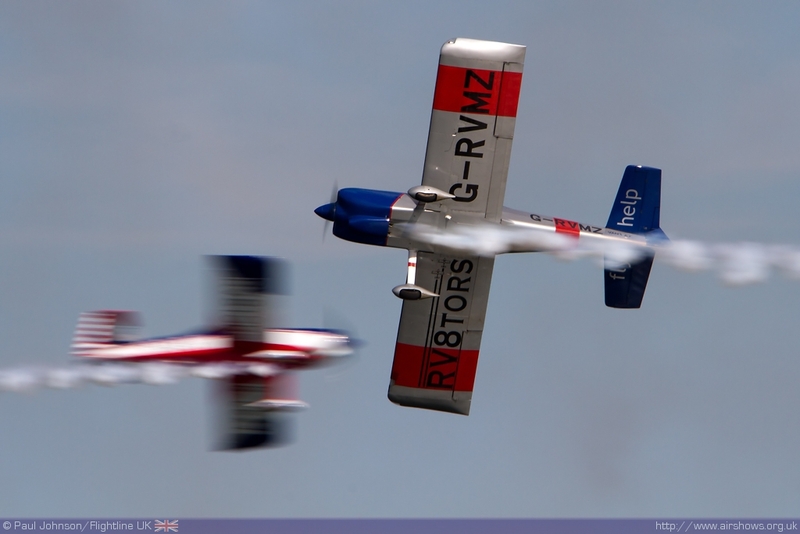 Jonathon’s close pass waving to the crowd always goes down well with the crowd at any venue, and certainly captured the attention of the Sunderland crowds. 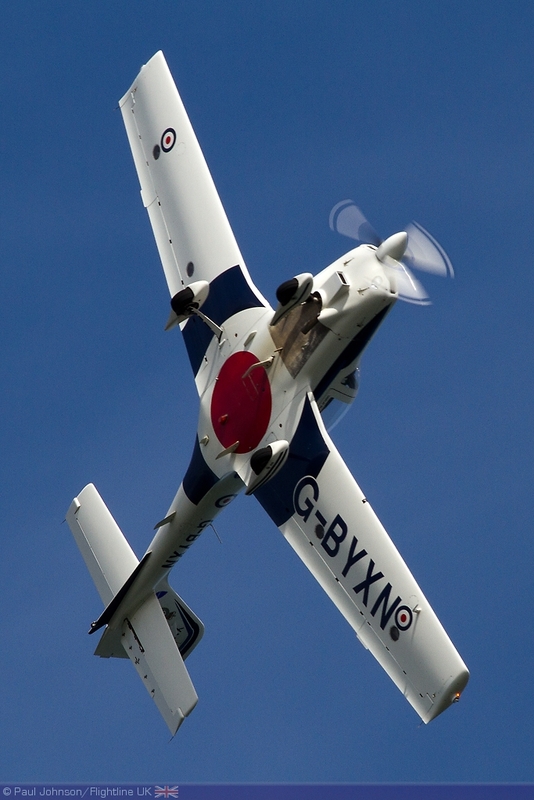 Completing the line-up were a number of the best civilian teams and acts on the circuit. 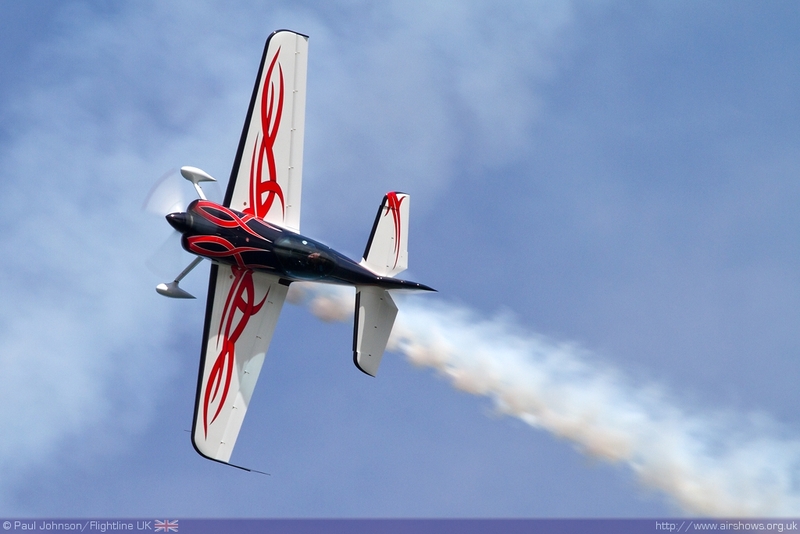 Gerald Cooper gave a stunning solo display of freestyle aerobatics in his Xtreme Air Sbach XA41 flicking and tumbling around the clear blue skies. 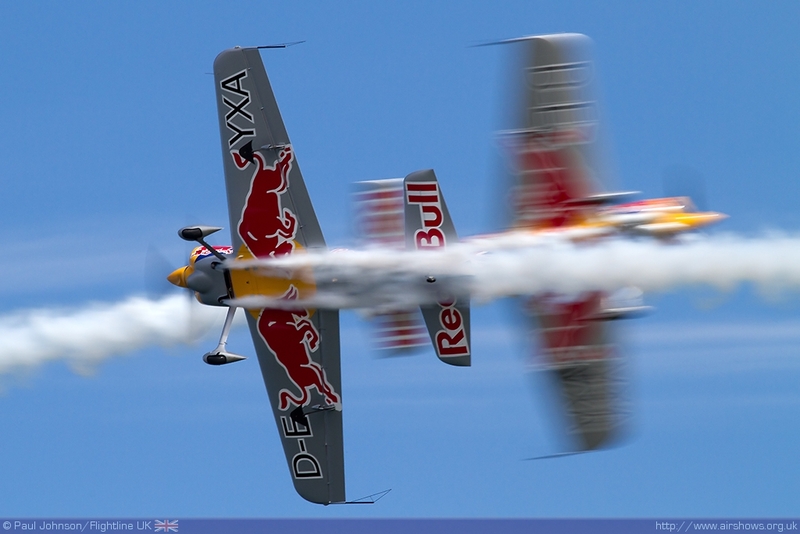 Further Sbach action came from the Red Bull sponsored Matadors with Paul Bonhomme and Steve Jones performing some impossibly close formation aerobatics. 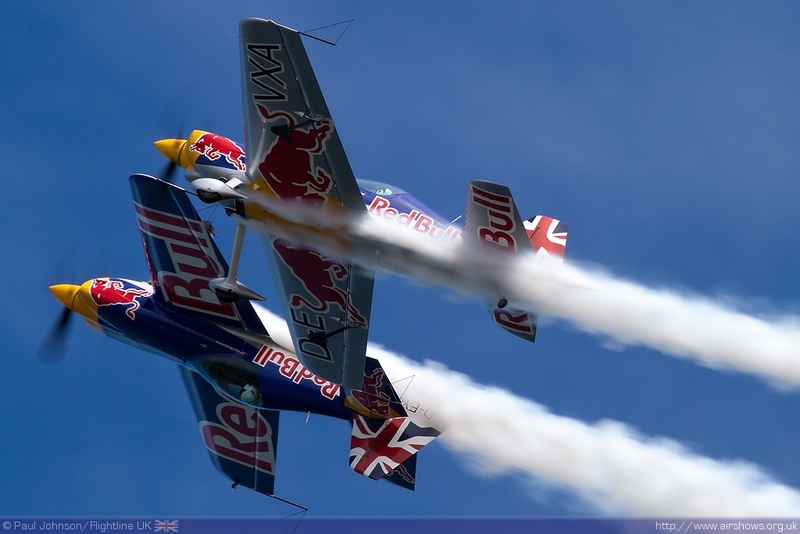 Further formation aerobatics came from two further duos. 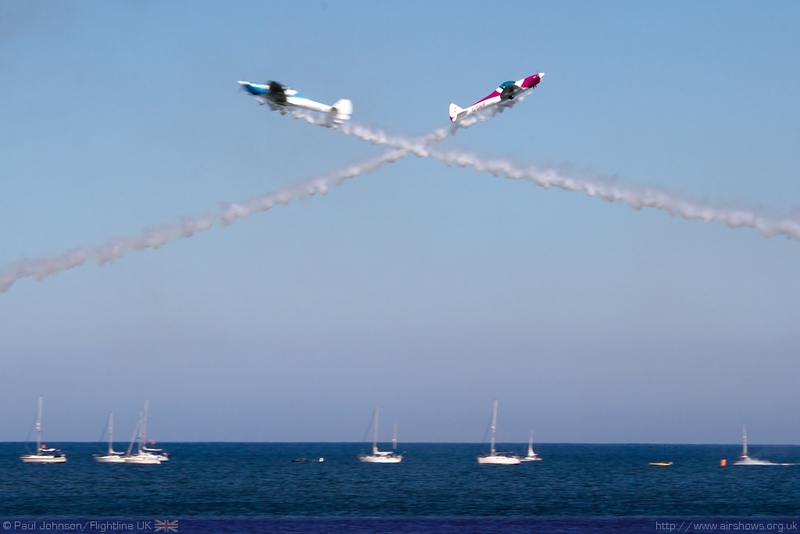 The SWIP Team added to their spectacular evening show with their standard daytime show. 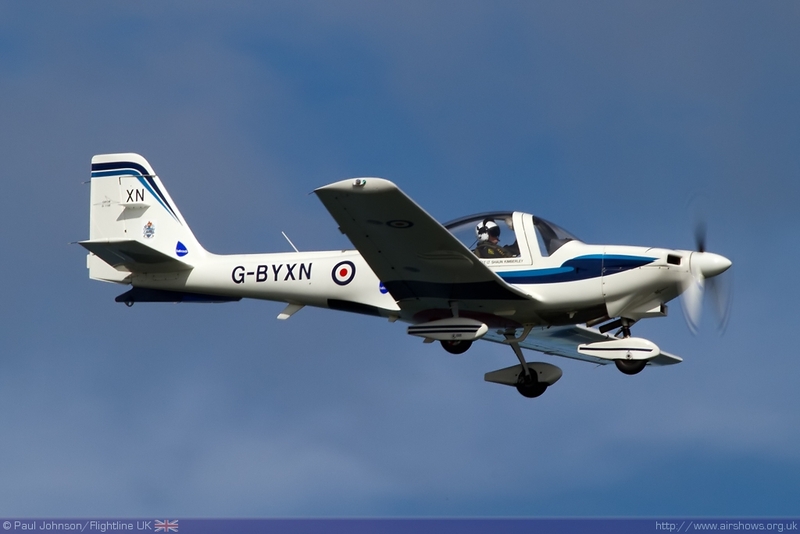 Joining them were the RV8tors who had a busy weekend with commitments at Rhyl in Wales and Bray in Ireland. 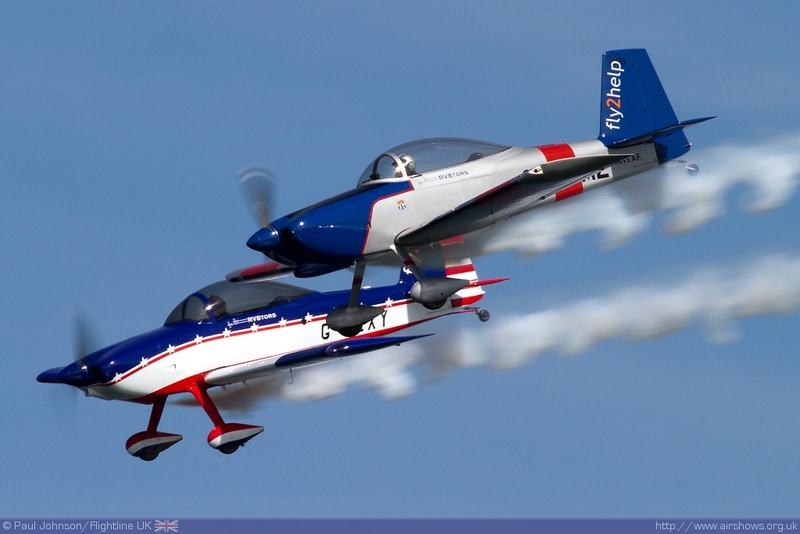 For 2012 the team have a new Vans RV8 in the form of the colourful G-LEXI. 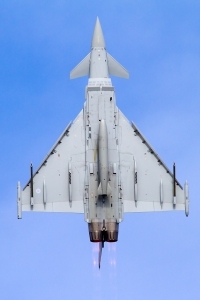 Both teams were very well received, particularly as the more flexible civilian regulations allow them ‘to work the bay’ and come in quite close the crowd. 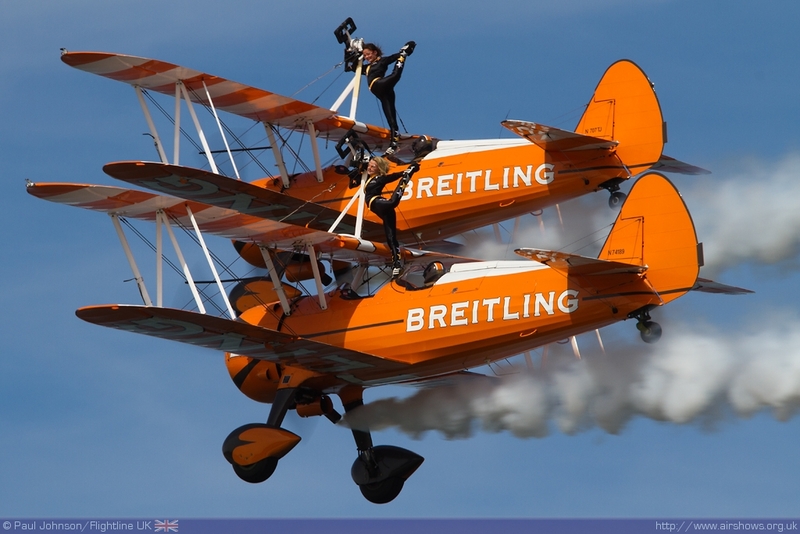 The Breitling Wingwalkers also used the topography of the seafront to best effect to keep their display close in the crowd. 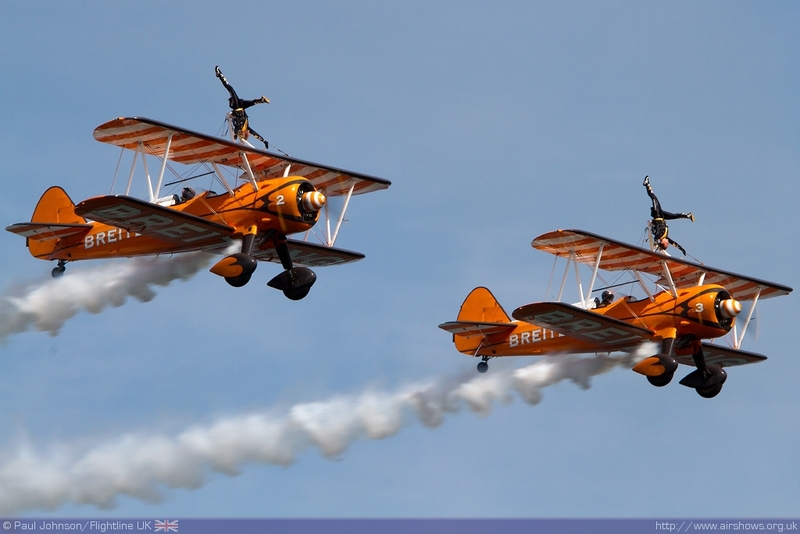 The Wingwalkers are always hugely popular at seafront airshows getting almost as many gasps and cheers as the Red Arrows! 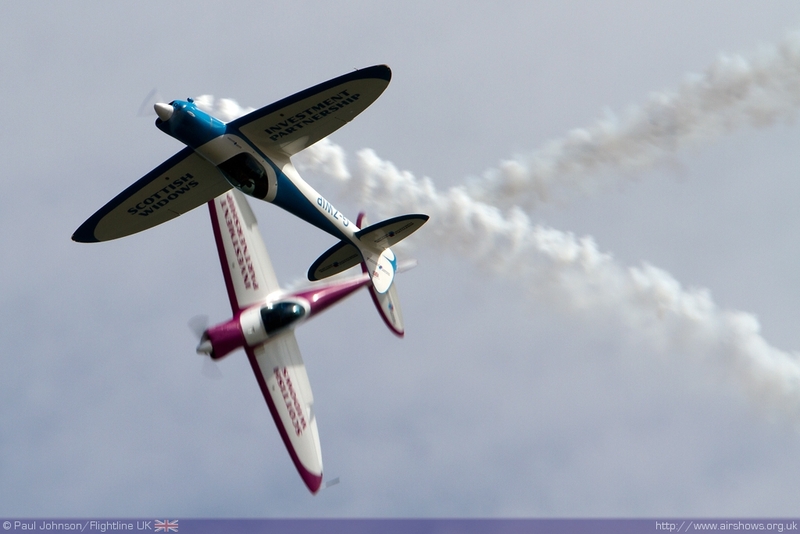 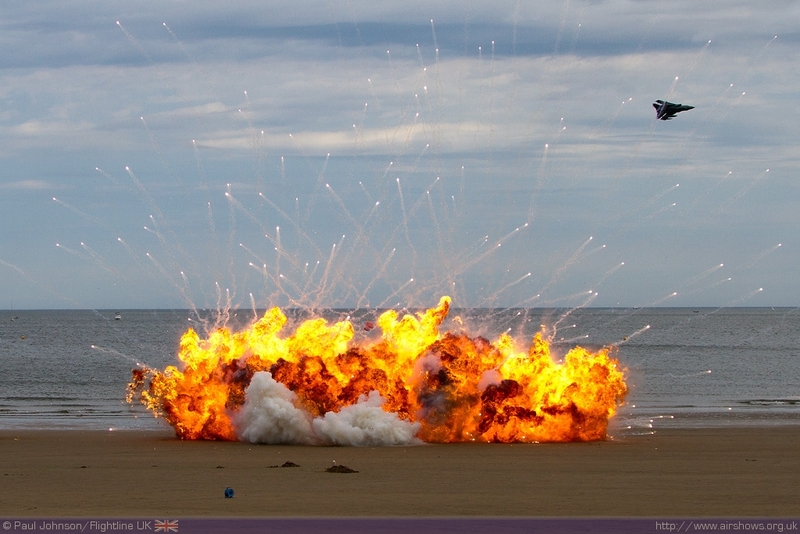 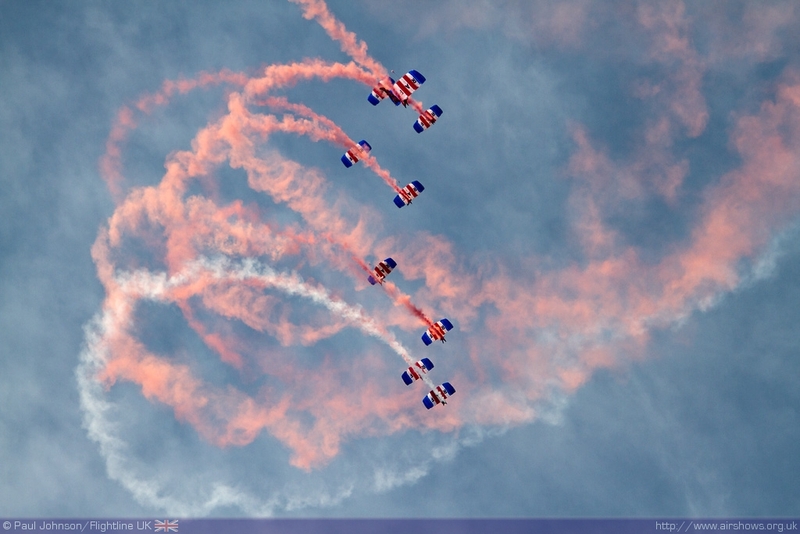 With warm sunny blue skies, Sunderland International Airshow was great fun with superb flying and a great ground show. 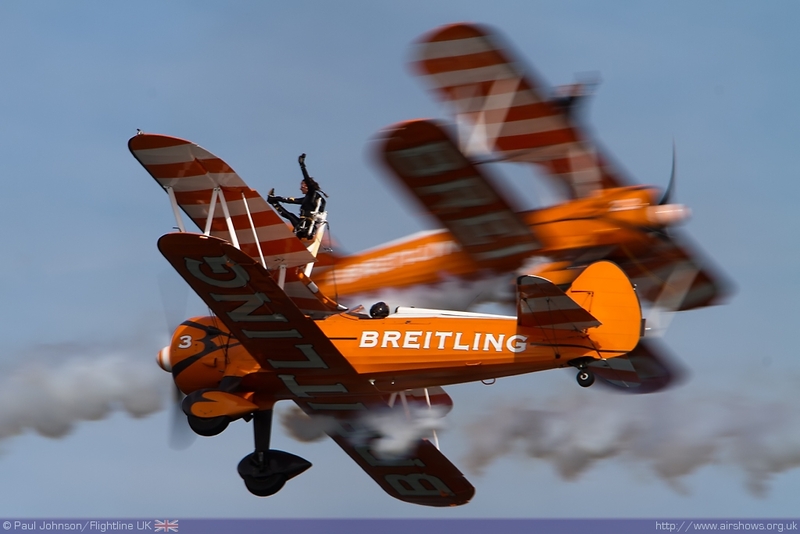 The public seem to agree with local papers reporting over 1 million spectator over the show which is certainly believable considering it was also ‘standing room only’ during Saturday’s display. 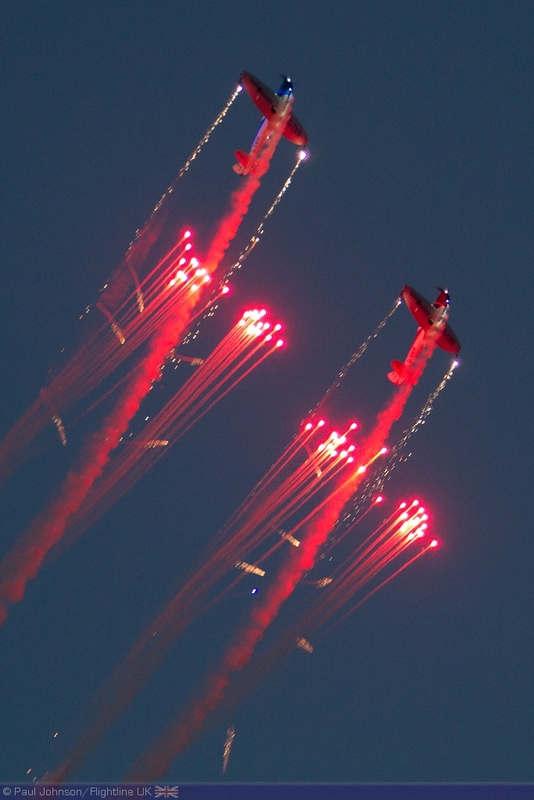 It was also good to see the Friday Night Launch Party not only return, but also gain in popularity as it really is the perfect start to the airshow.